Line a large rimmed sheet pan with parchment or foil paper. Drizzle 1-2 tablespoons of olive oil on sheet pan. 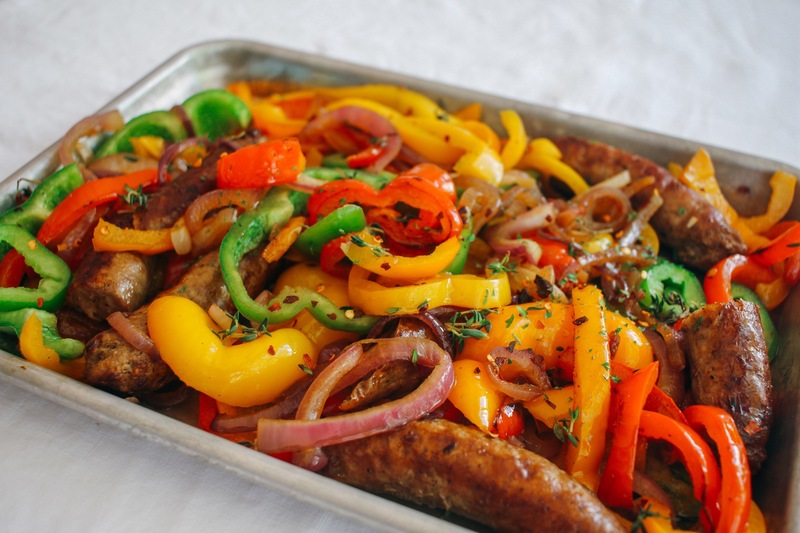 Place the cut sausage, bell peppers, onions and garlic on pan. Drizzle with the remaining olive oil; sprinkle with thyme, salt, black pepper, and red pepper flakes. 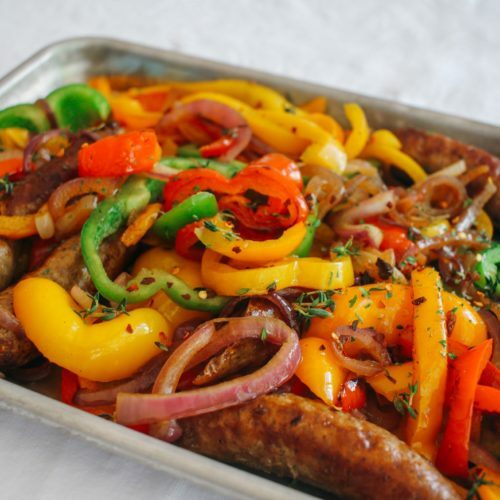 Mix well and bake for 25-35 minutes, until the sausage is fully cooked (internal temperature should be 145-150 degrees for pork and 165 for chicken/turkey sausage) and peppers are fork tender. Drizzle with balsamic glaze (if using).